The ex-shipmates are all at sea when they discover their brief television careers are over. Navy Lark spin-off stars Jon Pertwee. From March 1963. The ex-shipmates are all at sea, when they discover their brief careers at Troutbridge TV are over. After 4 series of 'The Navy Lark', the BBC decided the comedy crew needed a new setting, so where better than brand new independent station, Troutbridge TV? However, after just 10 episodes, this proved to be only a temporary change of course for the crew of HMS Troutbridge - as the crew were soon back aboard 'The Navy Lark'. 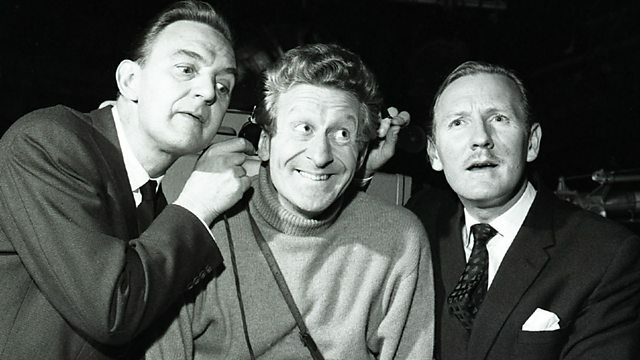 Stars Jon Pertwee as the Floor Manager, Leslie Phillips as The Director, Stephen Murray as the Producer, Ronnie Barker as Fatso Johnson and Richard Caldicote as the Deputy Controller. First broadcast on the BBC Light Programme in March 1963.